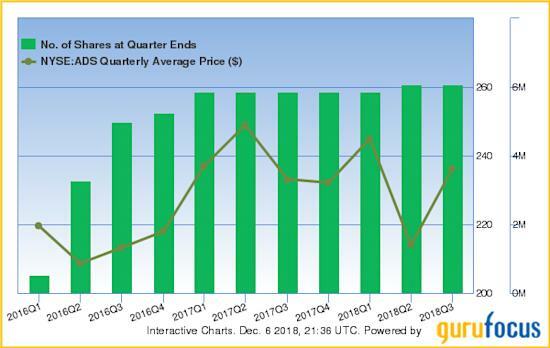 According to GuruFocus top 10 holdings data, the top six holdings of Jeff Ubben (Trades, Portfolio)'s ValueAct Holdings as of the third quarter are Citigroup Inc. (NYSE:C), Alliance Data Systems Corp. (ADS), KKR & Co. Inc. (KKR), Seagate Technology PLC (STX), Morgan Stanley (MS) and CBRE Group Inc. (CBRE). Warning! GuruFocus has detected 2 Warning Sign with C. Click here to check it out. ValueAct's investment team seeks out-of-favor companies that offer good businesses at depressed prices. The firm's goal for each investment is to work with the company's management and maximize shareholder return through constructive strategies. ValueAct's top three sectors in terms of portfolio weight are financial services, technology and real estate. Citigroup, ValueAct's largest holding, represents 18.51% of the equity portfolio. 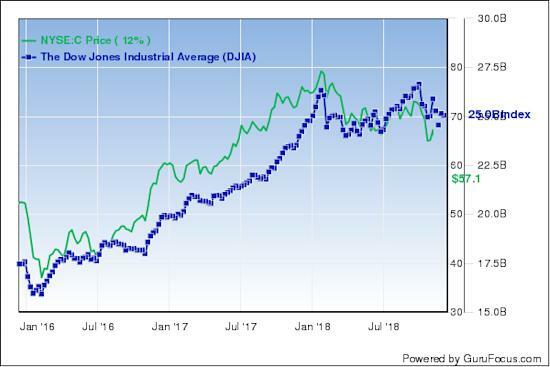 The Dow Jones industrial average tumbled approximately 500 points at its intraday low Monday, led by declines in Apple Inc. (AAPL) and banks. As of 10 a.m., the Dow traded at 23,987.66, just under 24,000. Citigroup traded near $56.70 during the first hour of trading, down 2.84% from its previous close of $58.36. Other major banks like Bank of America Corp. (BAC) and Wells Fargo & Co. (WFC), two of Warren Buffett (Trades, Portfolio)'s top holdings, traded over 3% lower on fears of an inverting yield curve, a leading indicator of a potential market recession. GuruFocus ranks the New York-based bank's financial strength 4 out of 10 on several weak indicators, which include a debt-to-equity ratio that underperforms 73% of global competitors. The website warns Citigroup's debt levels have increased approximately $43.8 billion over the past three years. 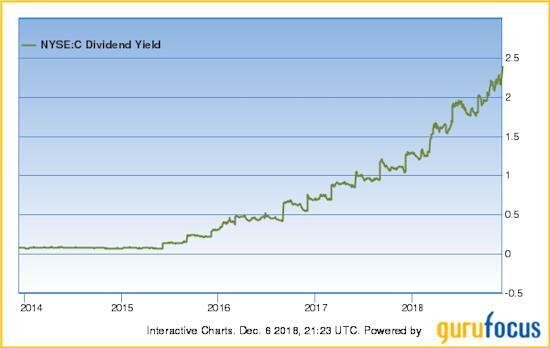 Despite low financial strength, Citigroup has a dividend yield near a five-year high of 2.24% and a price-book ratio near a one-year low of 0.85. Other gurus with holdings in Citigroup include Bill Nygren (Trades, Portfolio) and Diamond Hill Capital (Trades, Portfolio). Alliance Data Systems, ValueAct's second-largest holding, represents 14.13% of the equity portfolio. GuruFocus ranks the Plano, Texas-based company's profitability 10 out of 10 on several positive indicators, which include a perfect five-star predictability rank, a strong Piotroski F-score of 8 and a return on equity that outperforms 97% of global competitors. 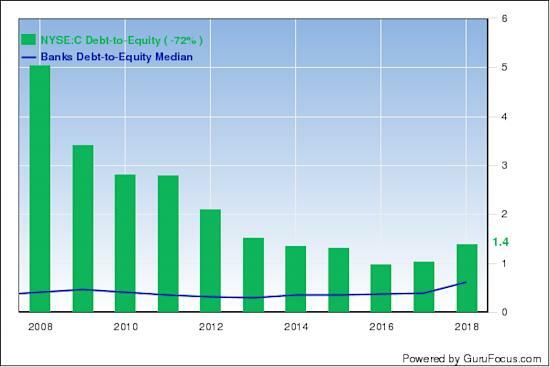 Despite strong profitability, Alliance Data's financial strength ranks a poor 4 out of 10 on weak signs like a debt-to-EBITDA ratio of 5.84 and an Altman Z-score of just 1.47. The former exceeds Joel Tillinghast's safe threshold of 4 while the latter indicates possible financial distress. 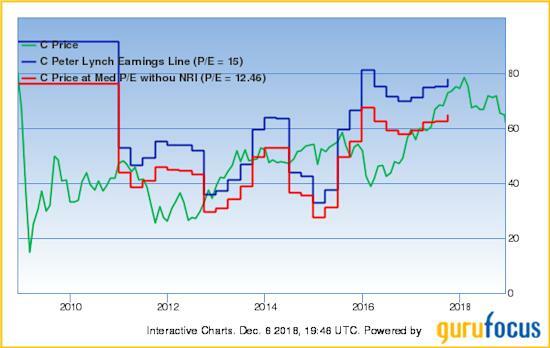 KKR, ValueAct's third-largest holding, represents 13.33% of the equity portfolio. KKR invests across multiple asset classes, including private equity, energy, infrastructure, real estate, growth equity, credit and hedge funds. 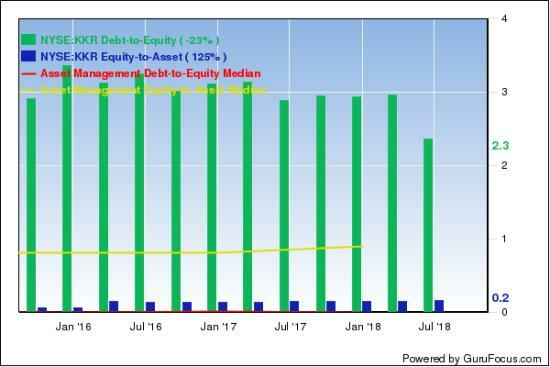 GuruFocus ranks the New York-based asset management company's financial strength 3 out of 10 primarily due to equity-to-asset ratios and debt-to-equity ratios underperforming 90% of global competitors. 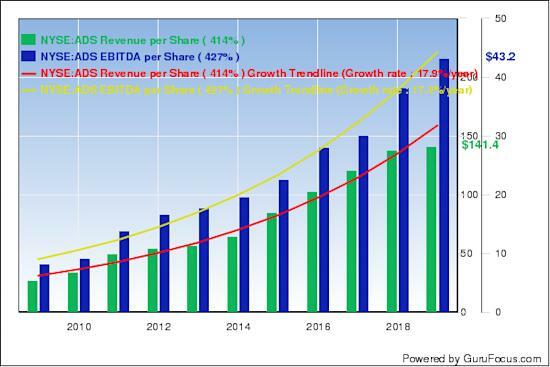 Seagate Technology, ValueAct's fourth-largest holding, represents 12.29% of the equity portfolio. The Cupertino, California-based company designs, develops and produces a broad range of hard-disk drives used in personal computers, game consoles, DVRs and data centers. 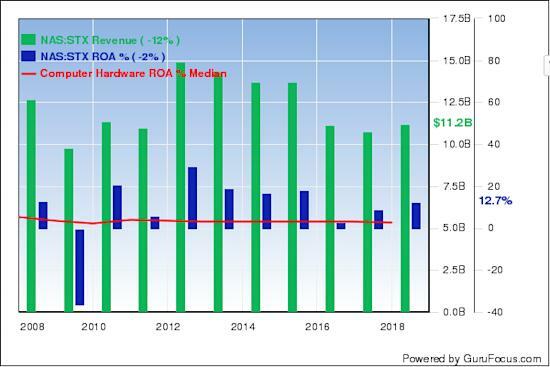 GuruFocus ranks the company's profitability 6 out of 10: even though revenues have declined approximately 2.60% per year over the past three years, a rate that underperforms 68% of global competitors, Seagate Technology has a strong Piotroski F-score of 8 and returns on assets that outperform 92% of global data storage companies. Morgan Stanley, ValueAct's fifth-largest holding, represents 9.53% of the equity portfolio. Along with Citigroup and other major banks, Morgan Stanley also suffered from Monday's selloff, trading over 2.73% lower than its previous close of $41.32. GuruFocus ranks the New York-based investment bank's financial strength 4 out of 10 on several weak indicators, which include increasing long-term debt over the past three years and a debt-to-equity ratio that underperforms 91% of global competitors. CBRE Group, ValueAct's sixth-largest holding, represents 8.64% of the equity portfolio. The Los Angeles-based company provides a wide range of real estate services to owners, occupiers and investors worldwide. 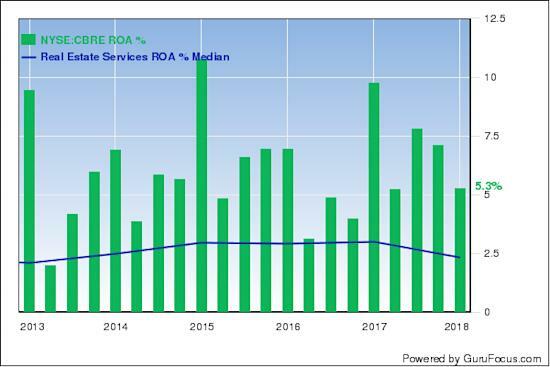 GuruFocus ranks the company's profitability 7 out of 10: even though profit margins underperform over 70% of global competitors, CBRE's return on assets is near a 10-year high of 6.80% and outperforms 76% of global real estate services companies. 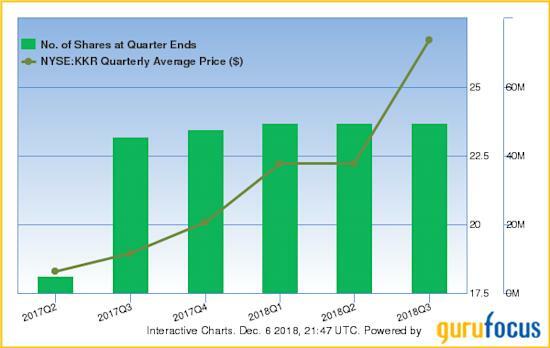 Have Insiders Been Buying Catasys, Inc. (NASDAQ:CATS) Shares This Year?